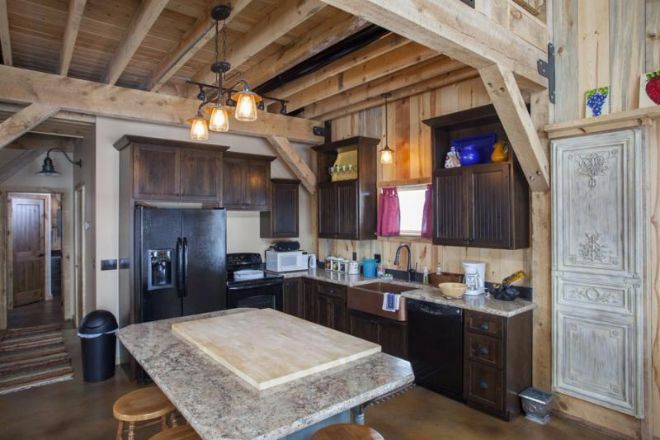 This lovely wooden farm style home sits in the Nebraska Great Plains -- home of cattle ranching and dry farming. The 1400-square-foot fits in perfectly with the Great Plains aesthetics. From the outside, eyes are immediately drawn to the stylistic glass windows that face the front of the house, as well as the marvelous porch that winds itself outside the building. 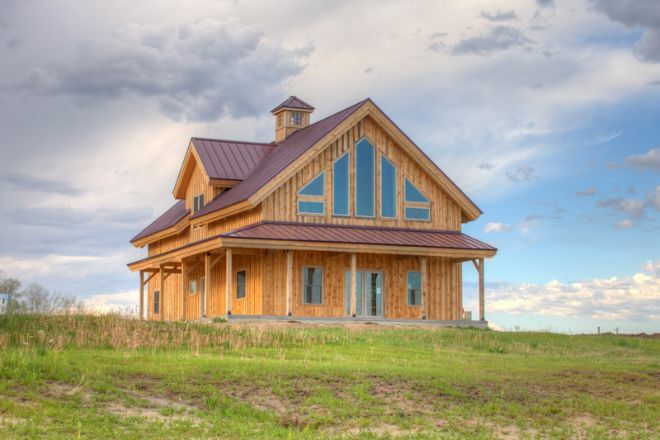 This particular home was created by Sand Creek Post & Beam, a company that specializes in barns and windmills. 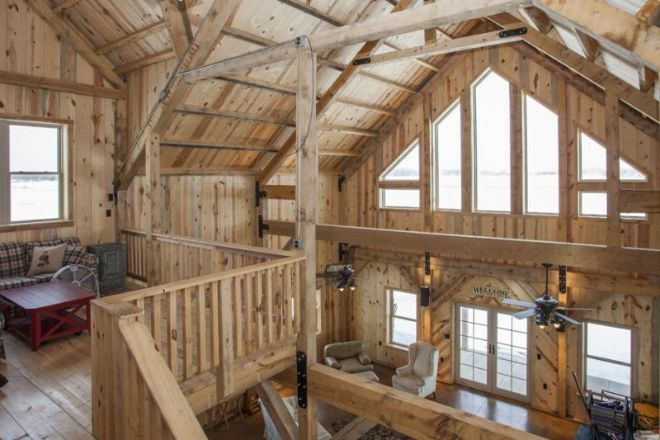 The company's agricultural influence is certainly apparent in the design of this "barn home." 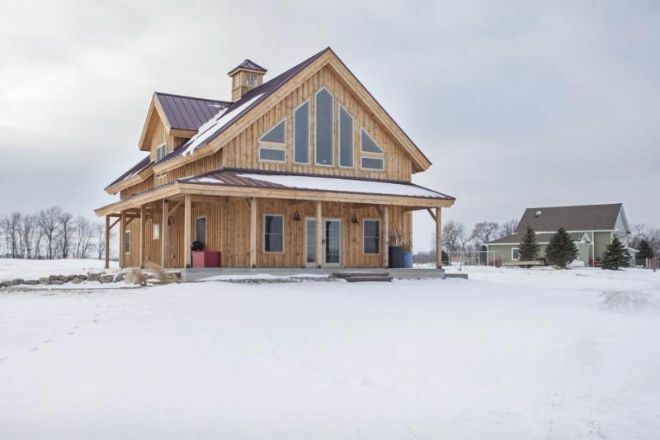 From a distance, the property could potentially be confused for a barn, but after peeking inside it's clear this home was built with comfort in mind. The ample windows, as well as a windowed front door, give the main living space of this barn home plenty of natural light. There are no walls dividing the main living room from the kitchen in the rear, giving the entire first floor an open, airy feeling. A beautiful marble island provides inhabitants with a food preparation station and dining area. 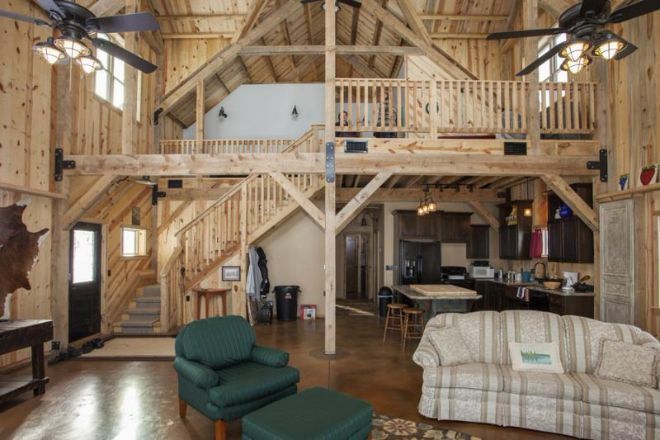 There are more windows on the loft leading upstairs -- no parts of the barn home go without natural light. 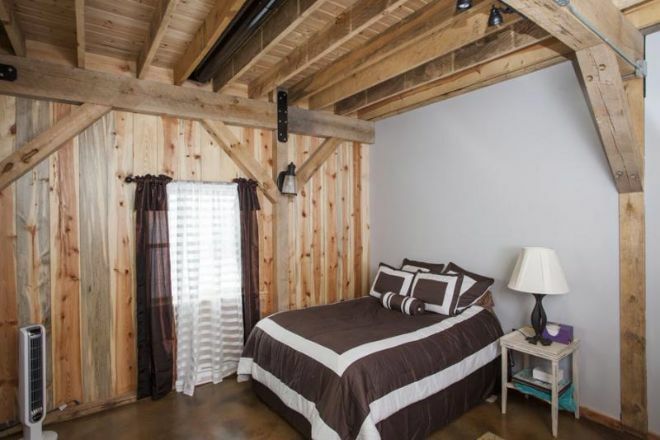 The home's rustic aesthetic exclude the bedrooms -- this upstairs room features wooden walls decorated with lanterns. 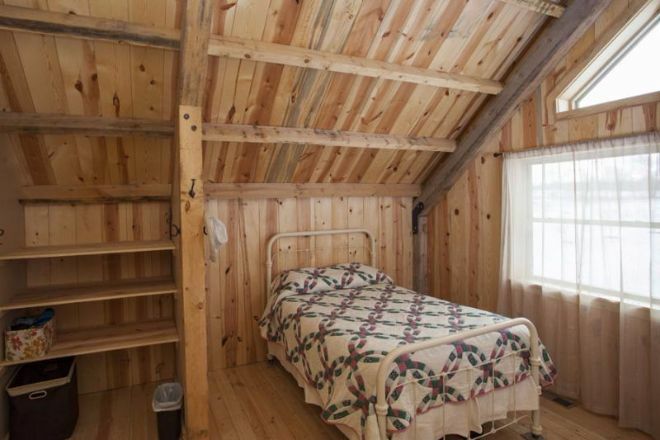 This smaller room, also on the second floor, has lovely sloped ceilings. 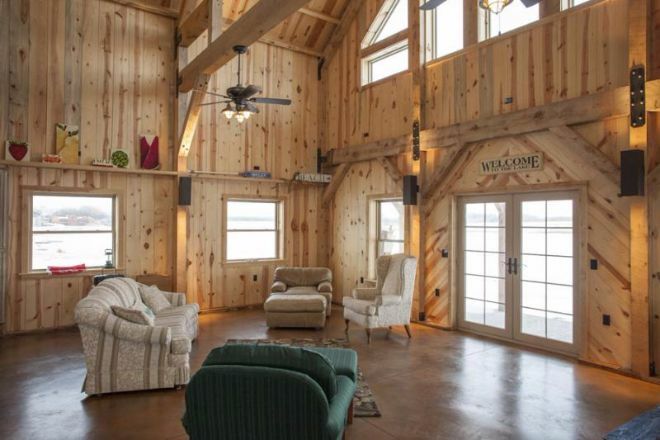 From the outside, the abode's distinctive second-floor windows set it apart from other barn or farm homes. 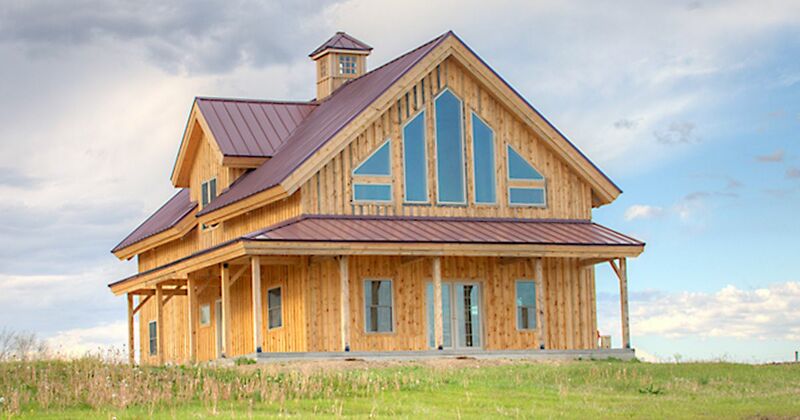 Sand Creek's buildings are pre-built and shipped as a kit.